Summer is quickly approaching (fingers crossed, it's freezing in CA today!) 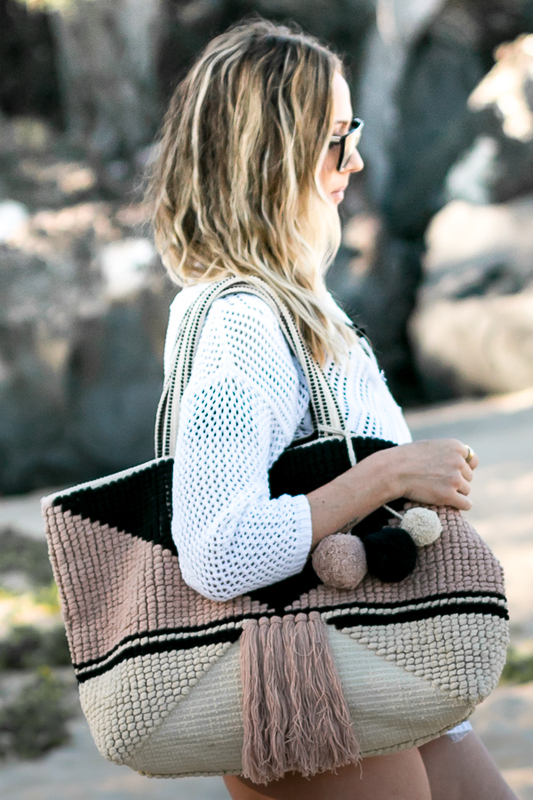 and that means stepping up your Summer tote bag game. I spotted this pom and fringe beauty right in time for my Hawaiian vacation a few months back. I love that it is definitely large enough to carry all of your beach items, also is a great size for the farmers market or heading to the park with your kids and is super on trend.